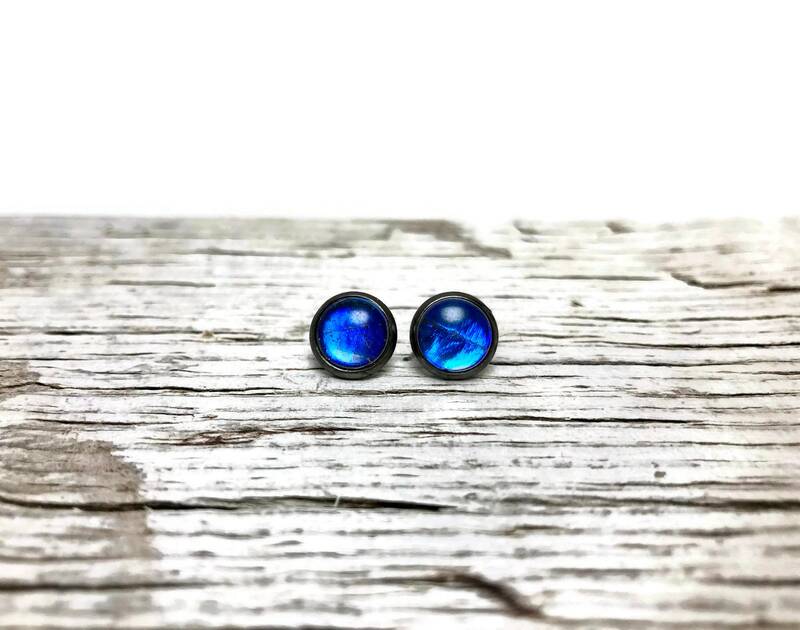 These real butterfly wing stud earrings are made with the species Blue Morpho Rhetenor. 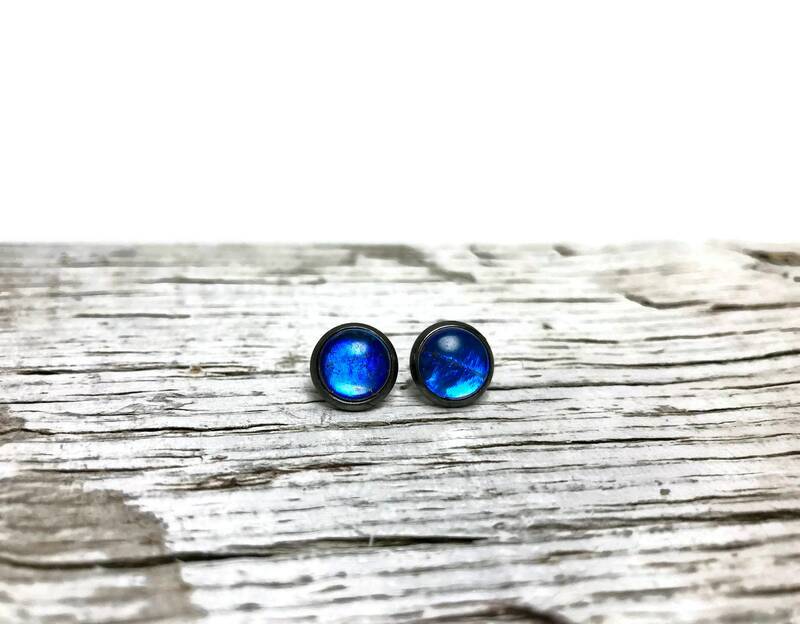 These studs are an amazing electric blue. 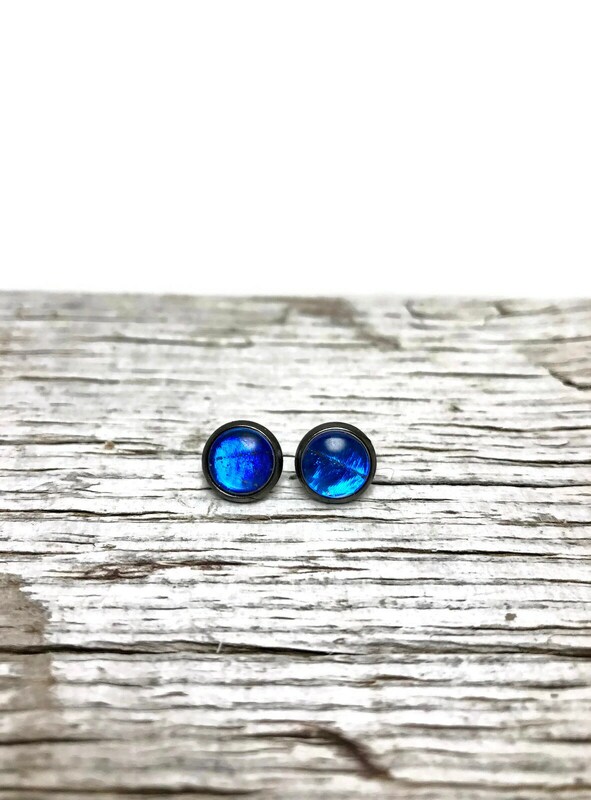 I use a clear domed glass that is set in a gunmetal tone earring bezel. 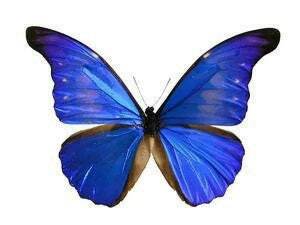 Making a beautiful framed butterfly wing. Each piece is truly one of a kind.